Naut’sa mawt Tribal Council is run with guidance from an Elders Council with representatives from its 11 member nations. 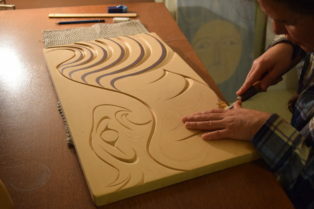 The Salish Sea Sentinel is profiling a new elder from the council each month. A council of Elders who guide Naut’sa mawt Tribal Council have been welcomed back for another year with a ceremony. 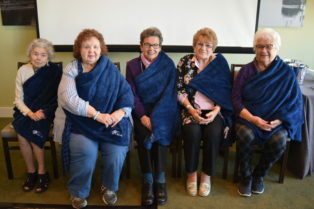 Members of the Elders Council were blanketed and honoured with a song during the tribal council’s Annual General Meeting in Richmond, B.C., in late January. 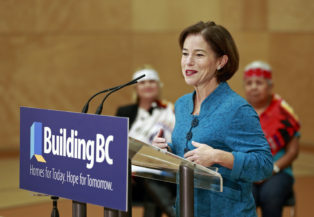 Photo: Selina Robinson, B.C.’s housing minister, announced the new funding at Katzie Nation in late November. Photo courtesy of B.C. government. Tsawwassen Nation has received $7.2 million in provincial funding that will go towards a new multi-family rental housing project. 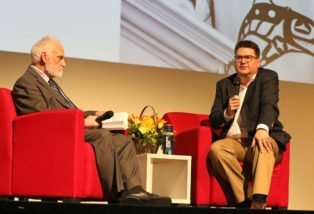 Perry and Tom LaFortune. Photo: B.C. Ministry of Health. 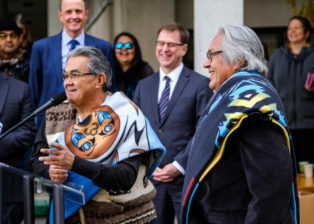 A Coast Salish totem pole that was carved by two brothers from Tsawout First Nation in honour of their late mother has been unveiled in Victoria. 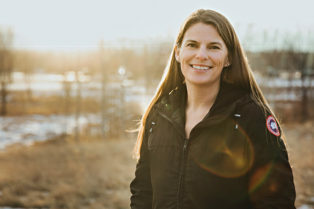 When Stz’uminus member Shannon Waters graduated from medical school, she realized that instead of treating people who are sick, she wanted to prevent people from getting sick in the first place. 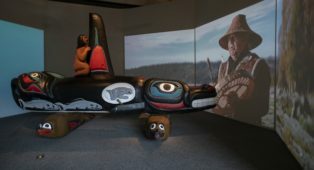 A new museum exhibit in Florida shines a light on endangered killer whales and their cultural importance to Coast Salish people in the Pacific Northwest. 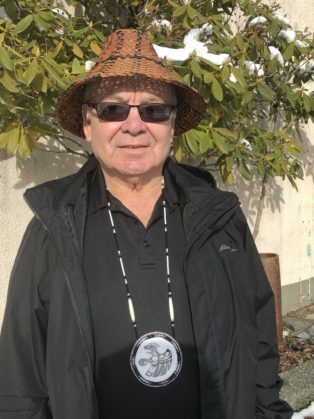 A group of U.S. Coast Salish leaders travelled to Victoria to testify at the National Energy Board’s oral evidence hearings on Nov. 28. 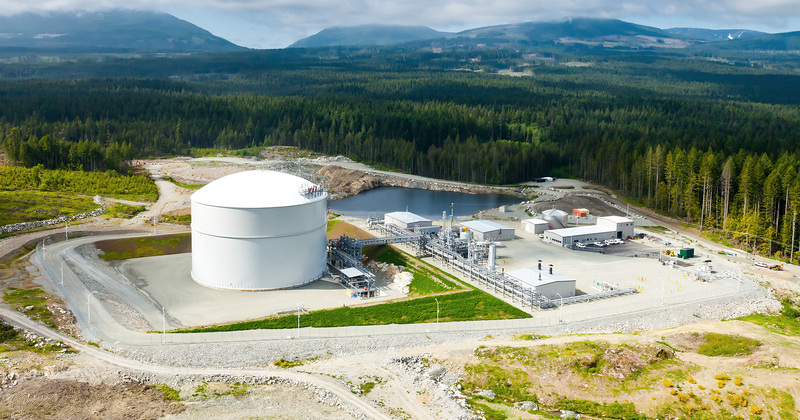 Representatives from Lummi, Swinomish, Tulalip and Suquamish travelled across the border to present their concerns to Canada’s energy regulator alongside their Canadian relatives. When Pearl Harris of Stz’uminus First Nation was a child, she learned to see the killer whales who would pass by her territory as family. 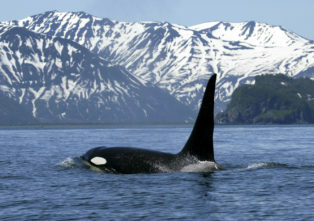 The elder said southern resident orcas would often come up to shore of Shell Beach, and she would watch and listen to them.